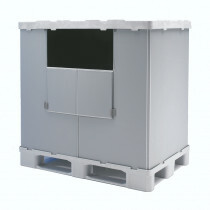 Our range of high-specification Hygienic Pallet Boxes are the superior choice for clean applications. Made up from three plastic components – a strong, hygienic pallet base, a fully sealed 5mm sleeve centre, and a secure fitting lid - they are easy to assemble and ideal for sanitary transportation. A 870 litre Plastic Folding Pallet Box Container on three runners. A 640 litre Plastic Folding Pallet Box on three runners. 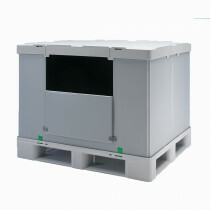 A 1100 litre Plastic Folding Pallet Box on five runners. 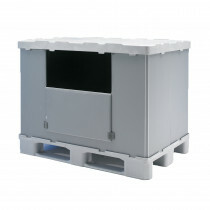 A 810 litre Plastic Folding Pallet Box on five runners.